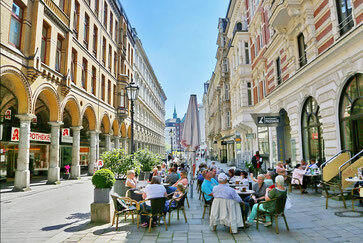 One of Hamburg's residents favorite shopping arcades connects the Colonnaden to the Gänsemarkt. Right at the beginning, the fine ice cream and bistro bar San Remo tempts with its homemade ice cream creations and the best Italian specialties, which are even worth a visit in the cold season. Those who are after a juicy steak will find what they are looking for in the Block House, which is rich in tradition. Otherwise, a visit to the secret "in" restaurant of good company, the Casse Croute in the Büschstraße, is always worth your while. 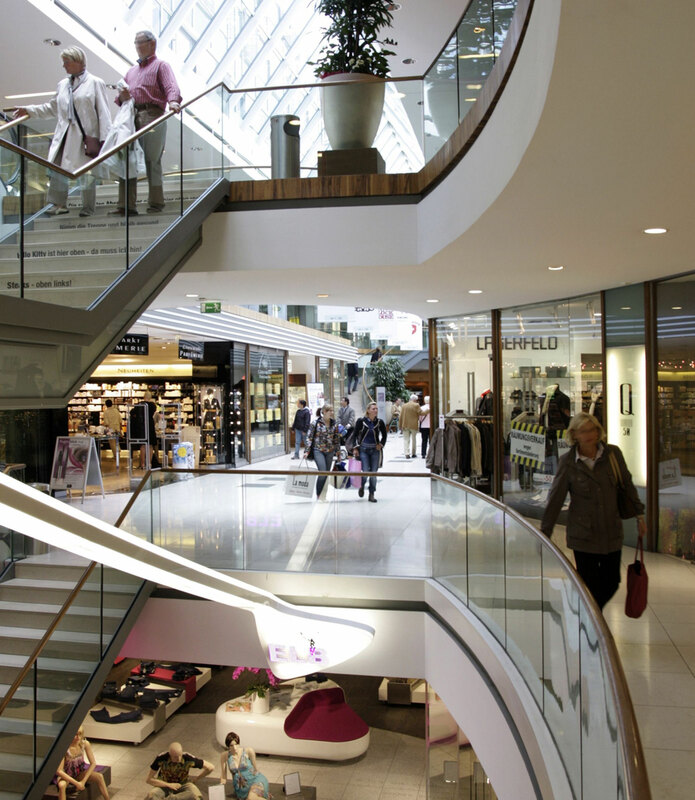 Team spirit, quality, and a wealth of variety are what distinguish this shopping arcade. 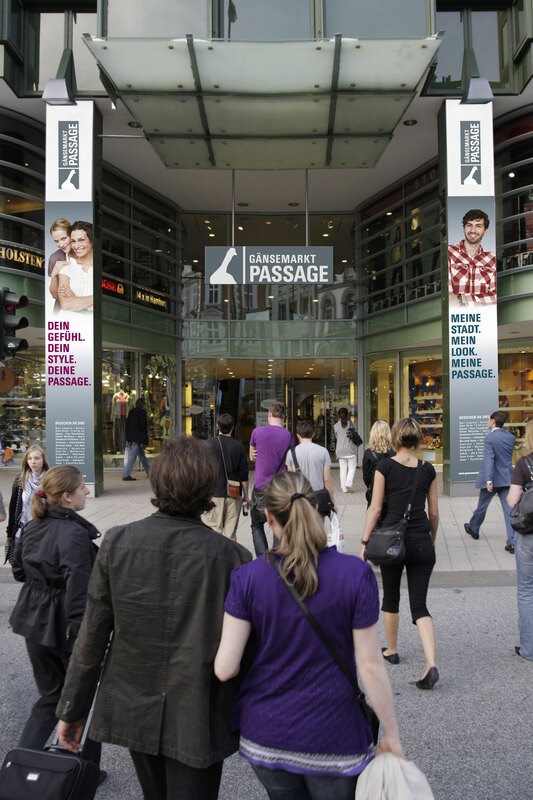 The range of well-assorted shops extends from the trendsetter ELB in the basement, over to luxury shoe shop Mercedeh, as well as Superdry at the entrance from Gänsemarkt, all the way to the flagship store of the jacket manufacturer Wellensteyn on the 2nd floor. 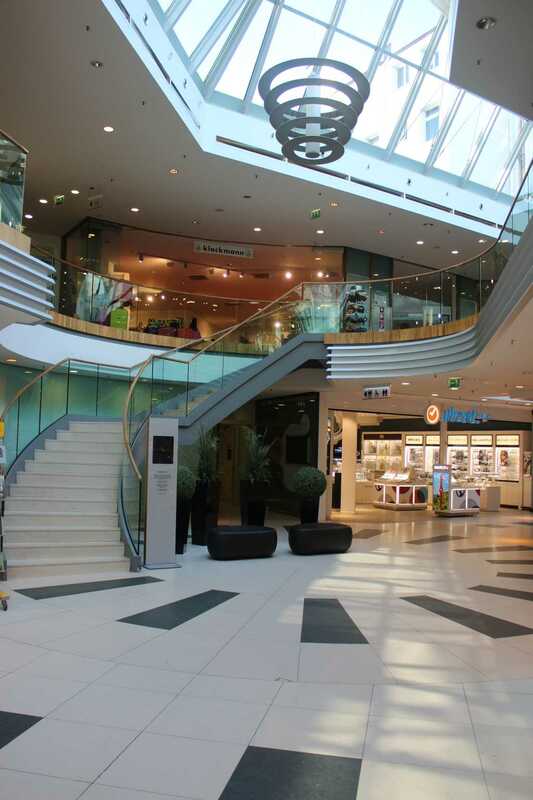 At Klockmann, probably the most comprehensive luggage center in the world, you will find, along with a wide assortment of bags and suitcases, a repair shop and suitcase testing track, as well as a unique ozone-based suitcase disinfecting method. The Showroom offers exclusive collection items by international designers at lucrative outlet terms. Jewelery and a fitting watch can be found at Uhrzeit.org. If you are searching for beauty products and first-class fragrances, you will definitely find something at the city perfumery Pieper. Great tips and tricks surrounding hair and nails are offered at SuperCut, Cosmo, and Celin Nails. 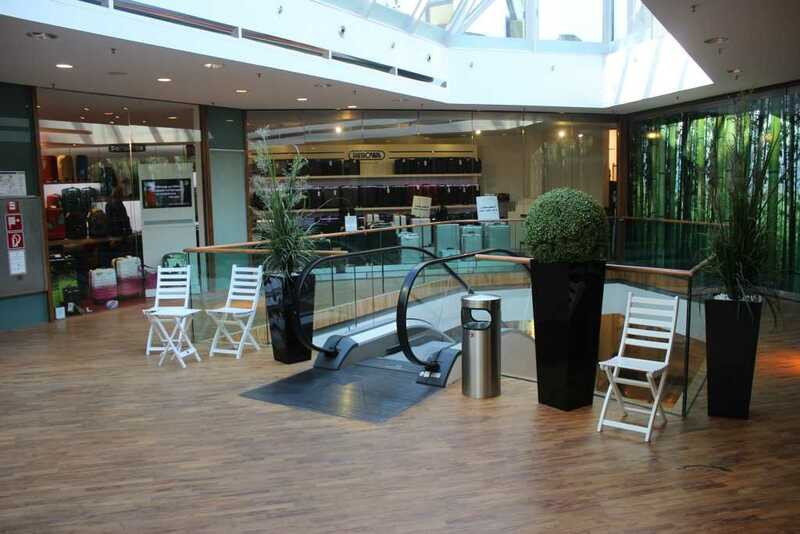 So that your flat doesn't miss out either: great furnishing and gift ideas can be found at the shops of design forum and Butlers. You'll find delicious teas to taste or take home in the trendy shop SAMOVA. 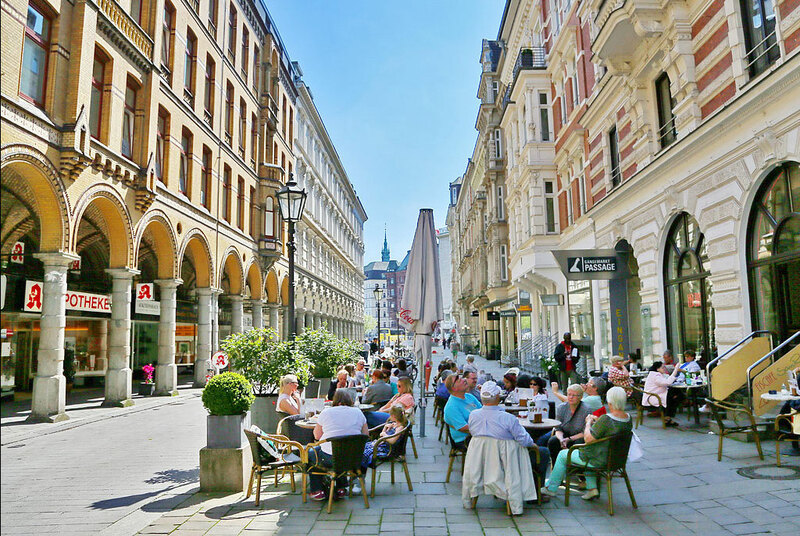 Right in the Colonnaden, you will also find the stylish tattoo studio Vaders.dye, the first tattoo studio in the city center, as well as the Games Workshop store – a mecca for all fans of strategy and table top games. 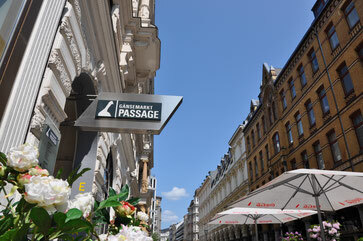 From the Colonnaden there is a direct entry to the GÄNSEMARKT PASSAGE.